A chiropractic adjustment is the primary chiropractic treatment for all diathrodial or cartilaginous joints in the body. For a complete explanation see the Home tab and scroll down to our Welcome to Bristol Chiropractic and Acupuncture section. 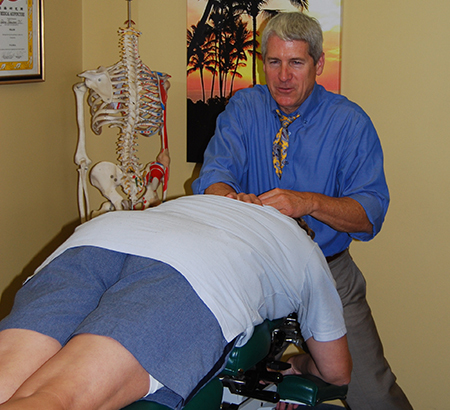 Spinal manipulation relieves pressure on joints, reduces inflammation, and improves nerve function. It has been a trusted form of treatment since the ancient Greek Hippocrates documented manipulative techniques in his writings back in 1500 B.C. Today, spinal adjustments are used to treat a wide variety of conditions some of which are allergies, menstrual cramps and headaches. How Does Spinal Adjustment Work? There are well over 100 types of adjustment techniques used by chiropractors throughout the world. Some practitioners may use force and twisting, while other techniques are more gentle. Regardless of how they are performed, these techniques are intended to restore or enhance joint function with the objectives of reducing pain and resolving joint inflammation. 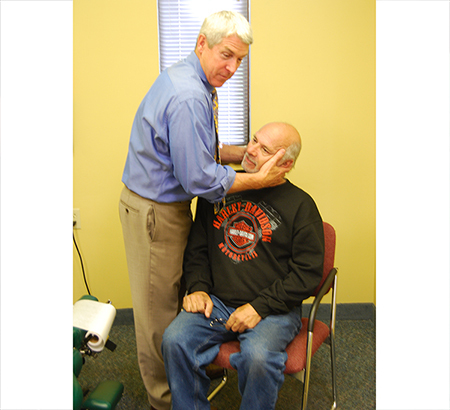 As a graduate of Life University in Marietta, GA - Dr. Palmisano was trained in over 20 different adjusting techniques and tailors each individual's treatment with the technique which will benefit their individual condition. When vertebrae shift out of place, there is an overall systemic response from the muscular system to the central nervous system. Without proper alignment and flow, our nerves, our immune system, and our minds cannot function at their optimum.